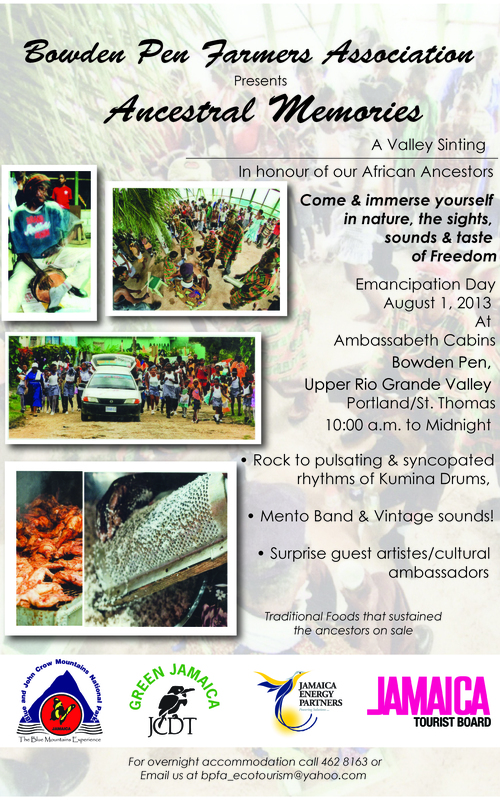 Bowden Pen Farmers Association presents “Ancestral Memories, A Valley Sinting” in honour of our African Ancestors. Immerse yourself in nature, the sights, sounds and taste of Freedom. For more on Bowden Pen and the Ambassabeth Eco Cabins.